Travel quiz, February 8, 2019: What are the small piles of rocks placed on hiking trails called? Travel quiz: The first Hard Rock Cafe opened in 1971 in what city? Quiz: How long should it take to pour a pint of Guinness? Travel quiz: Which country just changed the name of its capital city? Travel quiz: What does Bintang beer's name mean in English? Quiz: With five million passengers per year, what is the world's busiest cruise port? Travel quiz: What is hodophobia? Travel quiz: Where would you find private plane the Lisa Marie? Travel quiz: Where does Australia rank in the list of largest countries by area? Travel quiz: Which country is also known as Aotearoa? 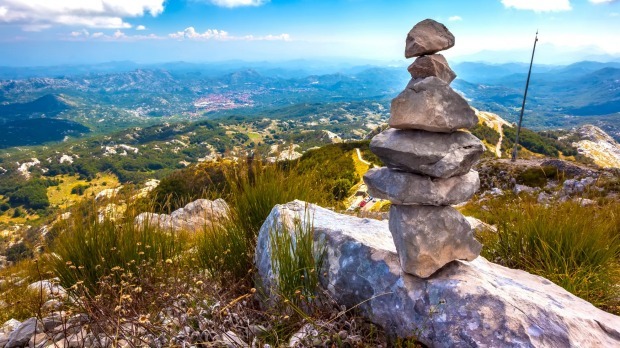 Travel quiz: What are the small piles of rocks placed on hiking trails called? Travel quiz: In which Italian city would you find Marco Polo Airport? Travel quiz: Which country celebrates becoming a republic on January 26? Travel quiz: Established in 1919, what is the world's oldest airline? Travel quiz: In which country would you find a pachinko parlour? Travel quiz: In which US city did Ferris Bueller spend his day off? Are you an expert traveller? Test your knowledge with our travel quiz.